Krissy Mathews has returned. Four years ago, the beautiful seventeen-year-old vanished in the forest near her home. Obsessed with solving the case, a young hotshot detective has hunted her relentlessly. Now she bursts through the door of her hometown’s hospital, a lifeless child in her arms and a man she refers to as her husband by her side. The police pry Jasper Ryan from her grasp and charge him with kidnapping. Her family has been through hell, the detective wants answers, and no one understands her feelings for Jasper. Gripped by Stockholm Syndrome, Krissy attempts to defend her kidnapper, but cracks form in her selective memory of the years she spent in captivity. She is forced to question what she thought was true love, borne of the twisted abuse she suffered while isolated in a mountain cabin. She is torn between the captor who fathered her child and the handsome detective who will stop at nothing to lock him up. 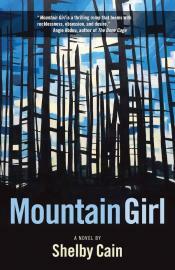 Mountain Girl is a wicked, turbulent, thrill ride that will keep you guessing until the final page is turned.